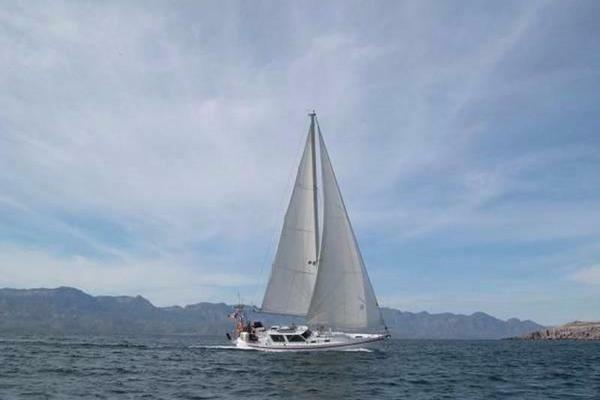 The owner is an experienced and knowledgeable yachtsman who has significantly enhanced a renowned design by extensive upgrades; he has improved systems, and functionality, as a review of our full specs and photos will reveal. The detail of this yacht is quite stunning! Boat has been kept out of water on lift from, 1/10/14 to present. Engines generator and air conditioning system flushed with fresh water after each use. Preferred 370 Cummins engines 20 MPH Cruising speed 350 Mile range. Upgrades and maintenance. BOW & STERN THRUSTERS: Vetus 185mm 95 KGF 11/6/15 new enclosure 1020hrs All new Garmin 7612xsv multi-touch widescreen combo. GMR 24" CDU 4KW Hi-Def Radar 8/8/16 New Raw Water Pumps replaced 1060hrs 1/30/17 1000 hr. service 1/19/18 bottom painted 1121 hrs. 3/24/18: P&S Eng., & Generator. Change oil, oil filters and all fuel filters including Racor @1161hrs 3/24/18: Change oil, oil filters and all fuel filters including generator Racor 1161hrs750 pound davit on Bridge for Portside tender launch with extension to bring on scooter from starboard side.Three staterooms two heads master has bathtub. (3) air conditioning & Reverse Heating units. (4) thermostatically controlled baseboard heat. (3) televisions with Antenna, & Cable Connections forward and aft. 1/10/16: All new bridge enclosure. 1/15/17: complete professional buffing of the entire boat inside and out.Much more including complete service record and fuel consumption. United Yacht Sales New Jersey would love to guide you through a personal showing of this 49' Meridian 490 Pilothouse 2006. This yacht for sale is located in Stuart, Florida and priced at $349,000. For a showing please contact us by filling out the form on this page and we will get back to you shortly!